Wisdom, an albatross who is the world’s oldest known breeding bird in the wild, is a mother again at the age of 67. It’s a boy. No, it’s a girl. Well actually we aren’t sure. But we are excited to announce that, Wisdom, an albatross who is the world’s oldest known breeding bird in the wild, is a mother again at the age of 67. 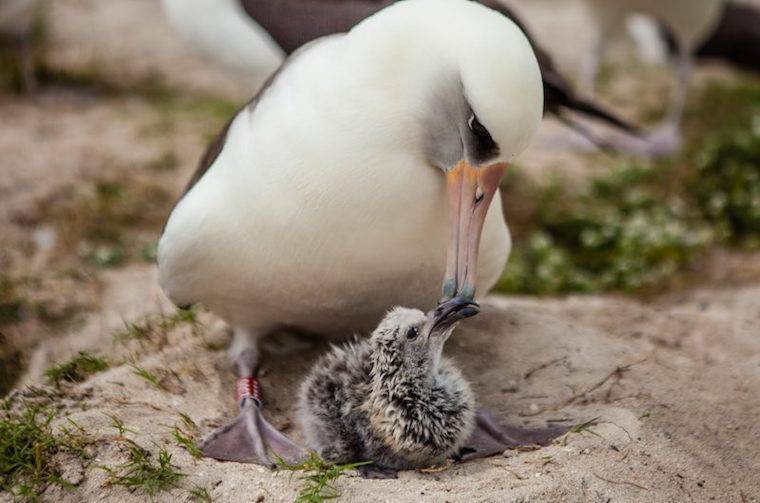 According to Hawaii News Now, Wisdom and mate Akeakami welcomed their new chick on Midway Atoll National Wildlife Refuge, home to the largest albatross colony in the world. Midway National Wildlife Refuge and Battle of Midway National Memorial in the Papahanaumokuakea Marine National Monument are home to more than three million seabirds. They return to Midway Atoll each year to rest, lay eggs and raise their chicks. Over the course of her lifetime, scientists believe Wisdom has successfully raised more than 30 albatross chicks.